Many have dreamed it, only Rado has made it real! For the first time ever, here is a watch controlled by that most sensual of senses: touch. 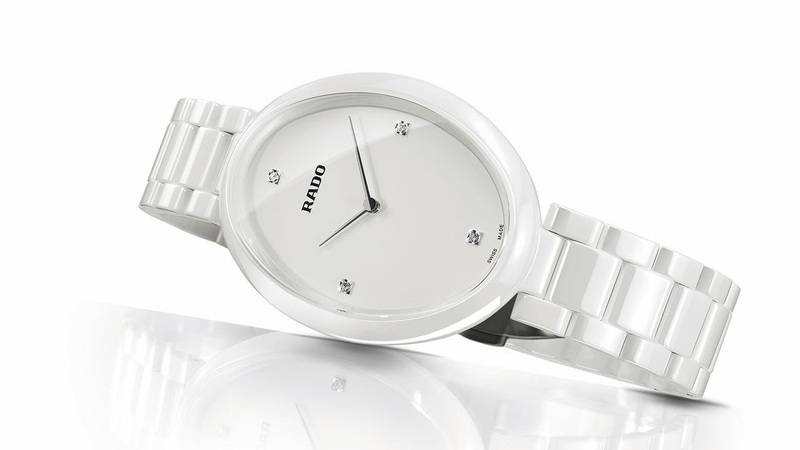 Bringing this groundbreaking technology to life, the Rado Esenza Ceramic Touch is controlled by sweeping the finger along the side of the case: left for hours and right for minutes. Stunningly simple in its monobloc case, which is produced under high pressure using a sophisticated injection process, this is a watch made with women, and women only, in mind. With no crown to snag a manicured nail, the Rado Esenza Ceramic Touch lays claim to the brand's formidable expertise in avant-garde materials with sophistication and style.